Well ... 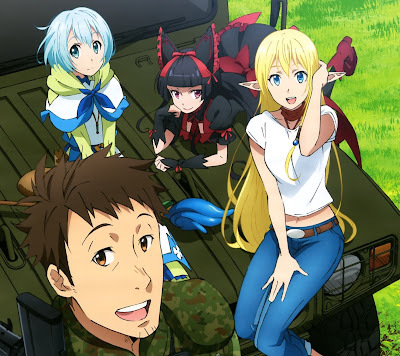 It looks like Sentai Filmworks is coming out with an English dub of Gate: Thus The Defense Force Fought ... someday. While waiting, here's a few You Tube links. Gate Jets vs Dragon here. How to Deal With Dragons here. Q and A conference in the Japanese Diet (Congress) where Rory Mercury puts Hillary Cli- ... er ... a political hack (Awww ... what the heck's the difference!) in her place, here. Gate music video with what seems to be a Japan Self Defense Force "anthem" here. Wikipedia article on the series and franchise here. Link to Sentai Filmworks here. My review of the series here. Go to Jays' Tee Vee blog main page here. Any articles under this means you're already there. Here there be dragons.